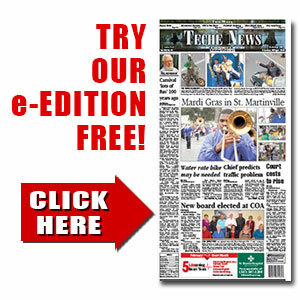 ’Dogs get big win | TecheToday.com | Teche News | St. Martinville, La. Lafayette – Cecilia got its offense humming again and used a balanced attack to notch a 24-3 on the road victory over Lafayette’s Mighty Lions here last Friday. The Lions, celebrating homecoming, took an early lead on a 23-yard field goal midway through the first period but the Bulldogs then scored in each quarter while shutting down the Lions offense. Cecilia answered the Lafayette score with an impressive 80-yard, 14-play drive that ended when Corey Williams connected with Kaleb Carter on a 24-yard TD pass. Ryan Malbrough added the conversion to make it 8-3 and the Bulldogs never looked back. The ’Dogs stretched their lead to 15-3 late in the half when Noah Livingston intercepted a pass by Lafayette QB Brennon Broussard and returned it 50 yards for a touchdown. Early in the third period the Bulldogs got moving on a 20-yard run by Kentrelle Jones. The 65-yard drive was also boosted by a pass interference call against the Lions. But Cecilia stalled and had to settle for a 32-yard Tanner Olivier field goal that put the ’Dogs up 18-3 going into the final stanza. Cecilia slammed the door shut with a little less than five minutes left in the game, going 85 yards in 14 plays for the final score. Jones capped the long possession with a 3-yard run and Olivier added the PAT to give Cecilia its 25-3 victory. Devin Briscoe paced the Cecilia ground game with 81 yards on 17 carries while Williams was 10-for-24 through the air for 168 yards and at TD with no interceptions. Williams spread the ball around to six different receivers, with Daniel Angelle leading the way with three catches for 55 yards. The 2-3 Bulldogs open their District 5-4A campaign on the road at Abbeville this Friday.